In this tutorial we will demonstrate how to take pieces from multiple photos and seamlessly blend them into a "coffee cake" photo manipulation. This tutorial will also explore unique ways to work with paths and smart objects. Let's get started! Open the first image of the cup of coffee. We are going to extract the cup and saucer as separate elements. To start, use the Ellipse Tool to make a path around the saucer only. Make sure you have the Paths option selected in the Top Menu bar. It is also good practice to name the path in the Paths Panel. As long as your Ellipse Tool is still selected, you can right-click the path and select "Make Selection." Copy (Command/Ctrl + C) and Paste (Command/Ctrl + V) this selection onto a new layer. Rename this new layer "Saucer." Going back to the original image layer, use the Pen Tool (P) to select just the cup now. Right-click the path and select "Make Selection." Copy and Paste to a new layer. Rename this layer "Cup." Next, we are going to remove the background. Use Levels (Command/Ctrl + L) to change the "Background" layer to pure white. Clean up the dark edges of the saucer by adding the following Layer Styles to the "Saucer" layer. Select the Patch Tool and use clean areas of the saucer to patch over the cup and shadows. Do this over and over until the entire saucer appears well blended. At this point, we are just making crude patches so don’t worry about getting things perfect. Next, add a Gaussian Blur set to 67%. This will blend all the visible mistakes from our patching job in the previous step. To finish the saucer, I’ve nudged the layer up a few pixels. I’ve also added the following Layer Styles to give some depth to the plate. Next, we will clean up the dark edges of coffee cup using the same Layer Styles from the "Saucer" layer. Right-click the "Saucer" layer and choose Copy Layer Style. Select the "Cup" layer, right-click, and choose Paste Layer Style. At this point, we want to replace the coffee in the cup with a cleaner appearance—open the second coffee cup image. Use the Elliptical Marquee Tool with the Feather Option set to 10 px and select the top of the coffee cup as shown. Copy and Paste the selection into our working document and Transform (Crtl + T) the new top piece to fit over the existing Cup. We now have our two elements ready to go. It will help if were merge each element down to a single, separate layer. The next several steps will explain how to remove a wedge form the coffee cup. To start, we need to create a template that will help us select a believable wedge. On a new layer, use the Elliptical Marquee Tool while holding Shift to make a circular selection. Right-click the selection and choose "Stroke." Make this a 5 px, red stroke. Using the Line Tool (set to Fill Pixel), draw in the size of your cake slice. Rename this layer to "Template" and convert to a Smart Object. Transform this layer so that it follows the contour of the bottom of the coffee cup. Make a copy of the "Template" layer and position ad the top of the cup, making sure to follow the contours. Continue to make copies and position these templates at strategic points around the cup. Notice that I’ve even included a template to designate the top level of the coffee. Right now, the template suggests that we will remove the wedge from the backside of the coffee. Since we created out template from Smart objects, we can customize where we want the wedge to appear. To do this, double-click on one of the thumbnails of the "Template" copies and rotate the circle to its desired location. With the template as a guide, use the Pen Tool to make a path in the shape of a wedge. Name this Path "Full Wedge"
Next, use the Pen Tool to make another Path that follows part of the wedge from the bottom most tempalte. Call this Path "Base Wedge." We will use this pathwith the previous one to help create our wedge shapes. Now that we have our paths created, we will use the Paths Panel to make some complex selections. In the Paths Panel, Command/Ctrl-Click the thumbnail of the "Full Wedge" path to make a selection, then Command/Ctrl + Alt + Click the "Base Wedge" path to subtract from the selection. We are left with the shape we need. Copy and Paste the selection into a new layer. Rename this layer "Missing Wedge." Use Levels (Command/Ctrl + L) to convert the colors to white. The bottom of the "Cup" layer needs to be fixed to appear as if it is missing a wedge. Go back to the Paths Panel and Command/Ctrl-click the thumbnail of the "Full Wedge" path. Next, Command/Ctrl + Alt + Shift + Click the thumbnail of the "Base Wedge" path to select the intersection of the two paths. The resulting selection is the piece we’ll use as a mask in the next step. Make sure the "Cup" layer is selected. Press Command/Ctrl + Shift + I to Invert the selection and click on the Apply Layer Mask icon at the bottom of the Layers Panel to mask out his shape. With the "Cup" layer still selected, use the Clone Stamp Tool to clone out the rim of the cup. This area should be coffee. We will now build the inside of the coffee cup. To start, make a new clipping layer for the "Missing Wedge" layer and fill with white. Add the noise Filter (Filter > Noise > Add Noise) set to 30%. On a new clipping layer, add a gradient using the Gradient Tool. Set this layer’s Blending Mode to Darker Color. Our next step is to define where the coffee inside the cup would be. Create a new layer called "Coffee Inside." Use the Pen Tool and use your judgment to draw a path representing the coffee inside the cup. Name this path "Inside." We are now going to paint some coffee inside the cup. Select a dark brown coffee color from our scene and fill in the selection. Lastly, select the Gradient Tool and choose Black as your Foreground Color. In the Gradient Editor at the top, make sure to select "Foreground to Transparent" as the gradient. Apply the gradient so that our coffee appears darker the closer it is to the middle. Before we add the cake texture, I want to focus on creating the rest of the scene. But first, organize your layers by placing all the layers that make up the coffee cup into a Layer Group. To create the slice of cake, we will need to make another selection from our original cup layer. Unhide the template that we created in Step 20 and use the Pen Tool to make a selection as shown. Name this selection "Cake Wedge." With your Pen Tool still selected, right-click the path on your Canvas and choose "Make Selection." We want to sample from the "Cup" layer so make sure you select this layer. Copy and Paste this to a new layer above the "Saucer" layer. Name this layer "Side Wedge." Go ahead and hide the "Cup" group. Rotate to a desired position on your plate. If you cannot get a believable perspective, repeat, Steps 34-35 until your cake wedge looks natural. Notice that there is an unwanted reflection of the coffee cup on the coffee. To fix this, go to the Layers Panel and select "Lock Transparent Pixels." This will allow us to paint on this layer without affecting the transparency. Now, select a dark brown coffee color, and with a large, soft brush, paint in some color until the reflection is hidden. Merge the selected layers by pressing Command/Ctrl + E. Rename this layer to "Cake Top" and place above the layer named "Side Wedge." We need to prepare this piece so that it can be easily transformed into position. To do this, Rotate (Command/Ctrl +T) this piece so that it is square. We need to extend the inside coffee part so we have enough of the piece to work with. To do this, use the Polygonal Lasso Tool to select an extended area of our piece. Use the Clone Stamp Tool and Brush Tool to fill in with the correct textures. Convert this layer to a Smart Object by right-clicking the layer and selecting "Convert to Smart Object." Now, Transform (Command/Ctrl + T) this layer as shown. To make some fine-tuned adjustments while transforming this layer, use the Warp Mode. We are going to add some detail to the "Side Wedge" layer. Make a new clipping layer to this layer and use the Brush Tool set to a low opacity to paint in some reflections as shown. Using the same low opacity brush, I’ve pained a darker gray over the ceramic cup to introduce more of a shadow. Copy and Paste this into the "Cup" group. Convert this to a Smart Object. Make this layer into another clipping layer to the "Coffee Inside" layer and transform this into perspective. Create a new Layer Mask for this layer and mask out a strip at the top of the texture so that there appears to be a layer of coffee above our cake texture. We still have some work to do on the cup, but first, let’s add the cake texture to the slice on the plate. Make a copy of the new Smart Object and place it above the "Cake Top" layer inside the "Saucer" group. Remove the Layer Mask by dragging it to the trash. Temporarily hide the copy of the Smart Object and use the Pen Tool to make a path around the coffee part of the cake slice. Use the image below as a guide. With the "Cake Texture copy" layer active, Command/Ctrl-click the Add Layer Mask icon to create a vector mask. Make this layer a clipping layer to the "Cake Top" layer. Transform (Command/Ctrl + T) the cake texture into the appropriate perspective. Click on the layer’s vector mask thumbnail to activate the path to edit it. Use the Direct Selection Tool to select the points on the path shown below. Move these points to expose some of the coffee texture. At this point, I’m satisfied with the positioning of the cake texture. The next step is to rasterize this layer and begin touching it up. Right-click the "Cake Texture copy" layer and select Rasterize Layer. Using the Dodge and Burn Tools, begin to add detail to the cake texture. There is not exact method for this, just whatever looks good. I’ve darkened edges and increased the contrast in certain areas to simulate some depth. Use the same techniques to touch-up the "Cake Texture" layer on the cup. Since this layer will be completely in the shadows, I’ve also adjusted its Levels. Go ahead and position your elements in your scene. Add the following Layer Style to give some dimension to the crumbs. For the shadows, create a new layer below the "Crumbs" layer and use the Elliptical Marquee Tool to draw small ovals off the base of each crumb. Hold down the Shift key to create multiple selections. Fill this with black and set the opacity to 41%. Lastly, make a copy of this shadow layer and give it a Gaussian Blur (Filter > Blur > Gaussian Blur) set to 20%. The next stage is to add shadows to the rest of the scene. We’ll start with the cup. Below the "Cup" layer, draw a black shape that is the same shape as the base of the cup. Give this a blur (Filter > Blur > Blur More). This shape should just barely peek throught the bottom of the cup. Copy this layer and give this a Gaussian Blur of 70%. Set the Opacity to 40%. This will become the ambient shadow. Continue adding shadows to the cake and saucer using the previous techniques. To create the shadow that falls on the cake slice, we need to covert all the cake layers to a Smart Object. 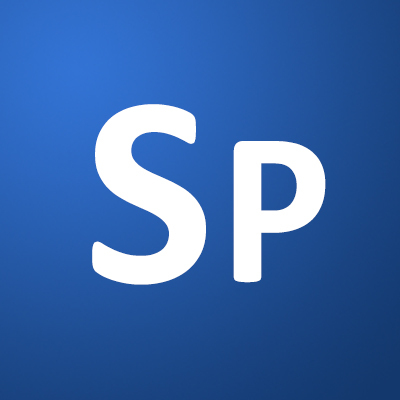 This will allow us to create a single clipping layer that we can use for our shadow. Next, create a new clipping layer and draw in a shape that approximates how that shadow falls over the cake. Fill with black, set the Blending Mode to Multiply and set the Opacity it 45%. To finish the scene, add subtle gradient to the background using the Foreground to Transparent option. I’ve also gone back over my scene and touched up areas by adding shadows, highlights, and other adjustments.